Manchester City’s title celebrations came to an abrupt halt when a raring Manchester United side completed an astounding comeback to seal the derby 3-2 in their favour. Though it’s just a matter of time for the Noisy Neighbours to lift their 5th league title, the Cityzens didn’t take the derby defeat pleasantly, as they let their emotions take charge when Martin Atkinson blew the final whistle. An agonized Etihad was pouring with frustration and bemusement as to how their side lost after being in full control for the first period of play. It was simply a tale of two halves, as City’s first half euphoria and United’s misery took a complete u-turn during the second half, with the Red Devils finally emerging as the winners. And as for the gutted Manchester City faithful, the defeat was nothing short of a thunderbolt, which was quite evident from their reactions. 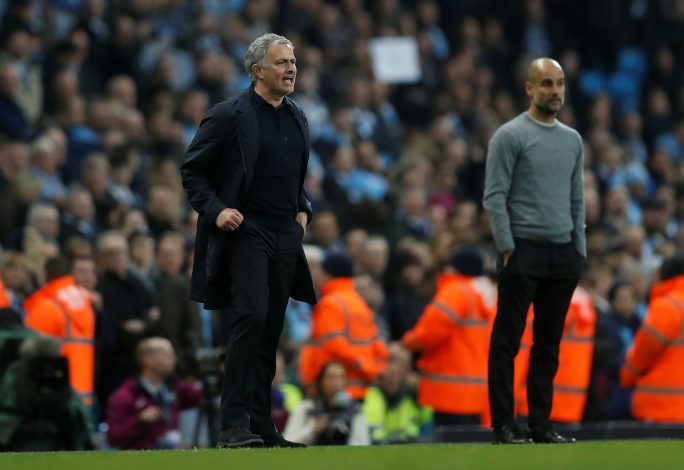 From erupting into tears to vocalizing their anger, the Etihad faithful didn’t hold back to showcase their disappointment, and one particular fan took it a little too far, as he threw a coin at United gaffer Jose Mourinho towards the end of the match. As per the report by The Telegraph, the Special One ‘had a coin thrown in his direction towards the end of the game’. However, this wasn’t the first instance where a United man became the victim of a ‘flying coin,’ as back in 2012, Rio Ferdinand was also on the receiving end of a similar hospitality after the Red Devils defeated City in the stoppage time at the Etihad. The coin had cut above Rio’s left eye, but luckily for the Portuguese boss, he escaped unscathed, and did something extraordinary with the fallen piece of change. Jose went and simply picked up the coin, only to hand it to a City ball boy. He didn’t make any fuss about the incident, and be that as it may, gave the young lad a token to remember the day by.